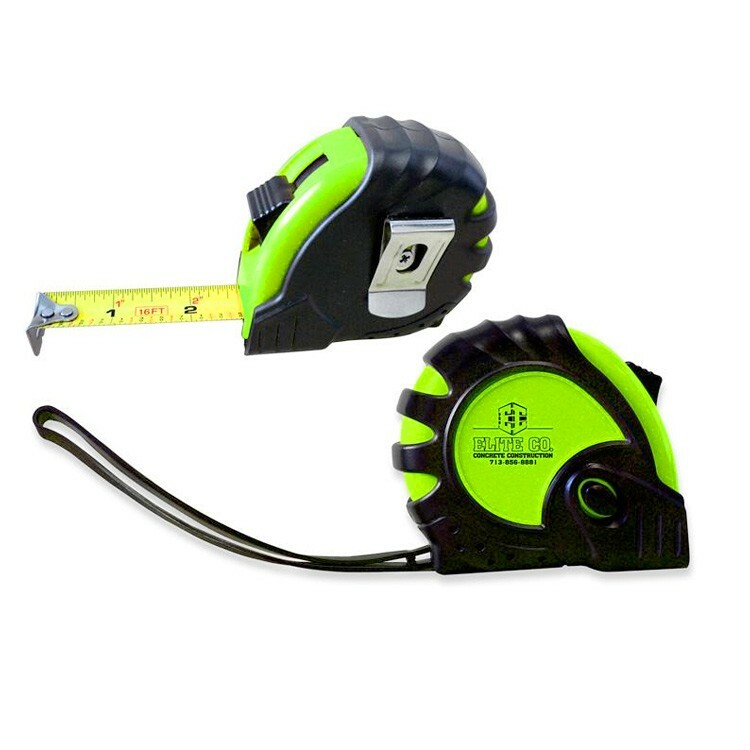 10' pull and press to lock tape measure features a comfortable rubberized finish. Wrist strap and belt clip built-in. Tape is 1" scale with 1/16" increments. A very popular promo for construction companies, builders, material suppliers, renovators, and home care companies.